Ladies always love to be stay trendy and fashionable. Refresh your closet with the latest design T-shirts & polo shirts. Look timelessly stylish and make a western look with wide collection of T-shirts & polo shirts online from Ajkerdeal.com. They can easily be teamed up with a pair of jeans to flaunt an ever-trendy look. They come in a variety of style, fit and patterns to suit your need. 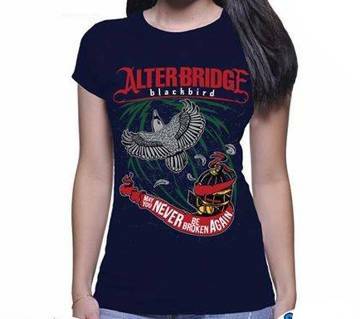 There are round neck, V-neck and high neck t-shirts with full sleeve or half sleeve available here. You can chose half-sleeves with round neck for the summer while full-sleeve with high nick for the winter. There are also single or multi-color options for your shopping convenience. We also provide all the bright and bold colors with striped or check designs for your ease and comfortable wear. Choose from our wide range and different varieties of t-shirts & polo shirts. 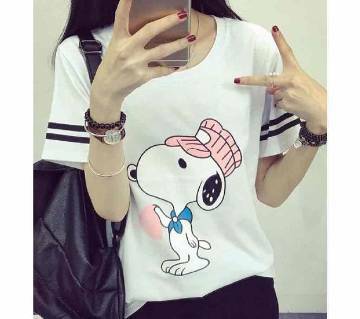 There are also T-shirts with popular cartoon characters for the teenagers. 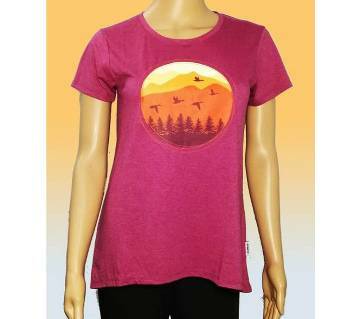 Now, it's fun & easy to customize womens clothes. You can also get customized printed T-shirts from Ajkerdeal.com. They are also ideal for gift. 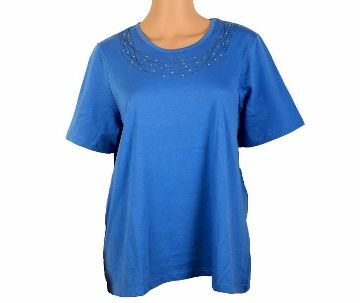 Whether for sports or casual wear, Ajkerdeal.com provides the best collection of ladies polo shirts online. 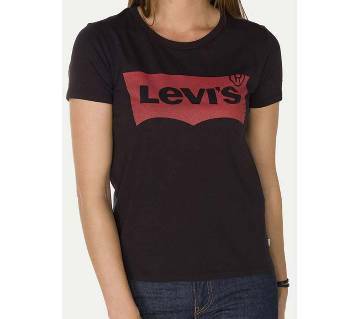 They are also made from high quality and soft fabric material including cotton, linen, polyester etc. We also provide various sizes ranging from XS to XXL for perfect fit. If you like to add a little change to your wardrobe, check out our website. Look effortlessly cool with classical wear from Ajkerdeal.com.